Steve Rinuado was named Pecos League MVP. 7/31/2012- Steve Rinuado was named Pecos League MVP. 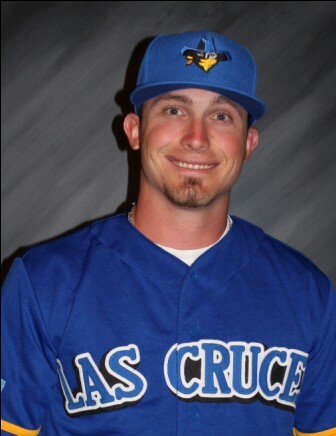 Steve lead the high altitude Vaqueros offense with a .400 batting average, 108 hits, 17 HR's and 22 SB. Steve was recruited and signed by Vaqueros Head Coach Casey Dill. "Steve is the best player in this league, there should not even be a vote." says Vaqueros Manager Casey Dill. Steve will be moving to higher league at the conclusion of the Pecos League Playoffs. Steve was a third baseman/pitcher Steve Rinaudo was named the Heart of America Athletic Conference Baseball Player of the Year for his play during the 2009 season for Culver Stockton. He also played at UNLV.